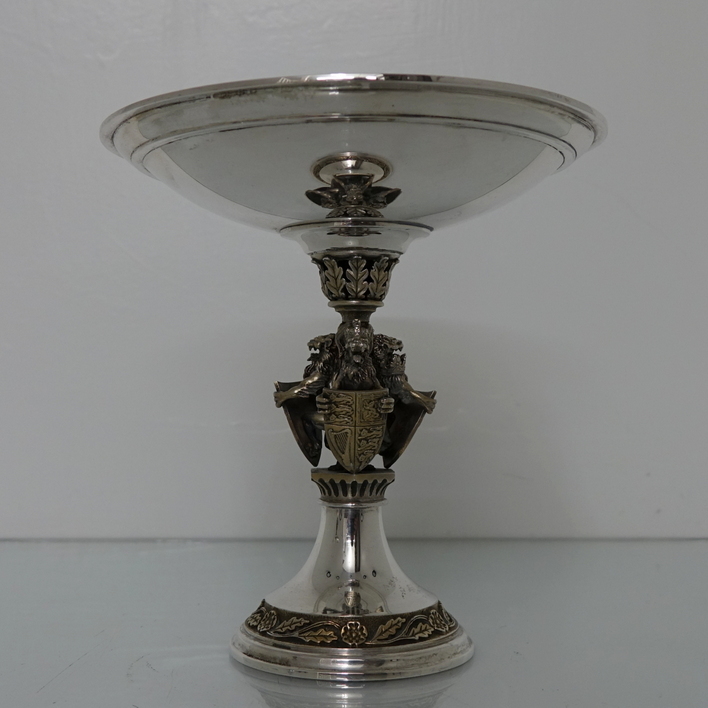 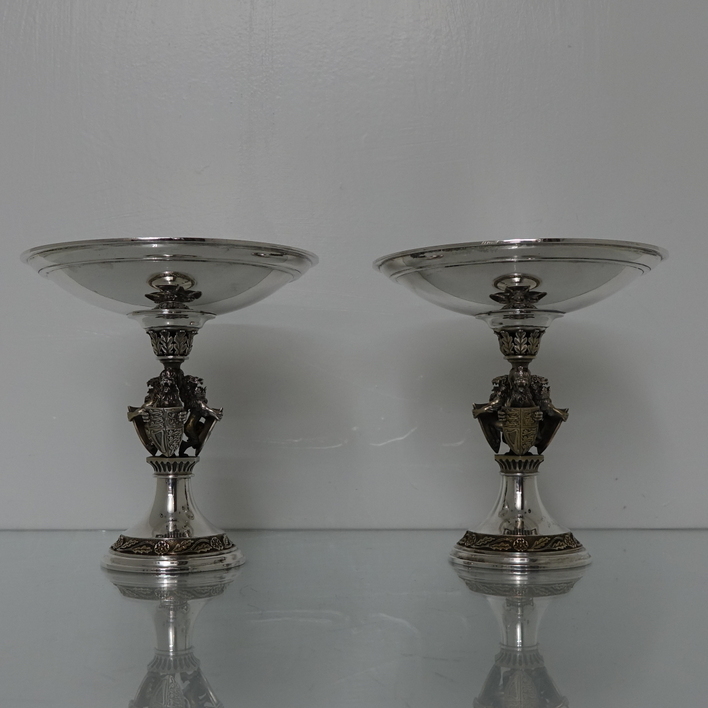 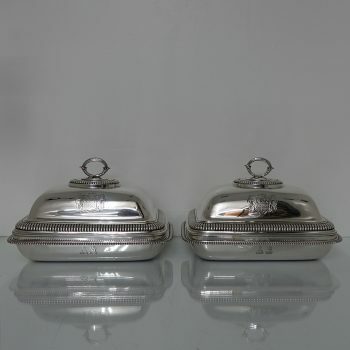 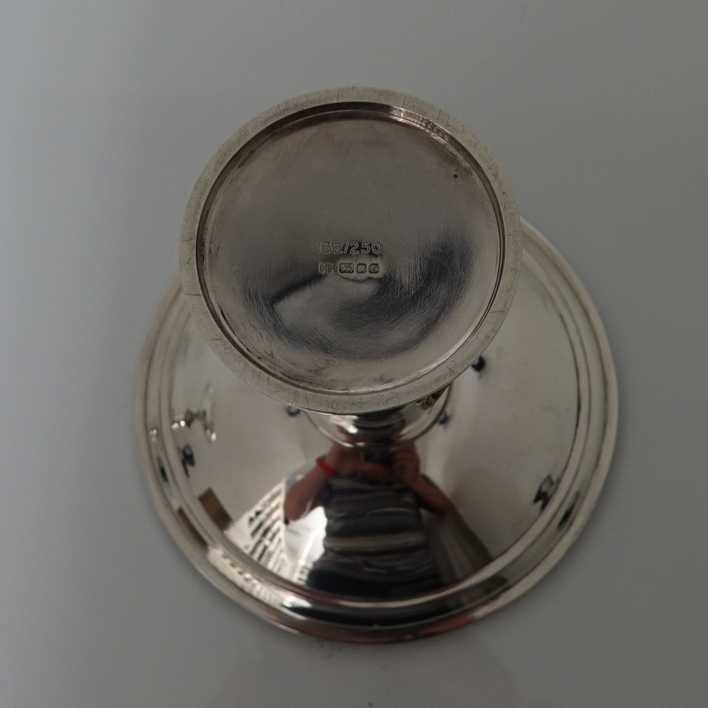 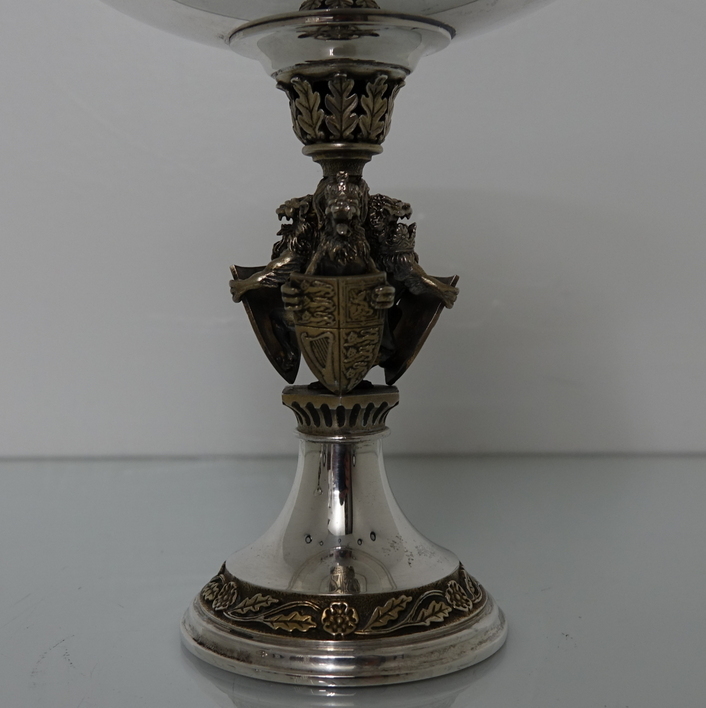 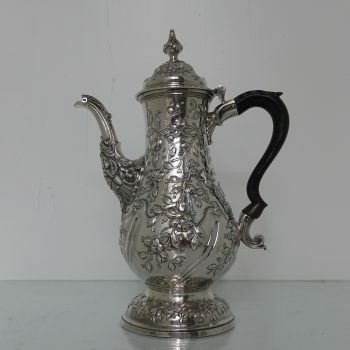 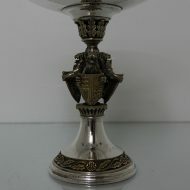 A highly collectable pair of commemorative silver comports/tazzas partial gilt throughout. 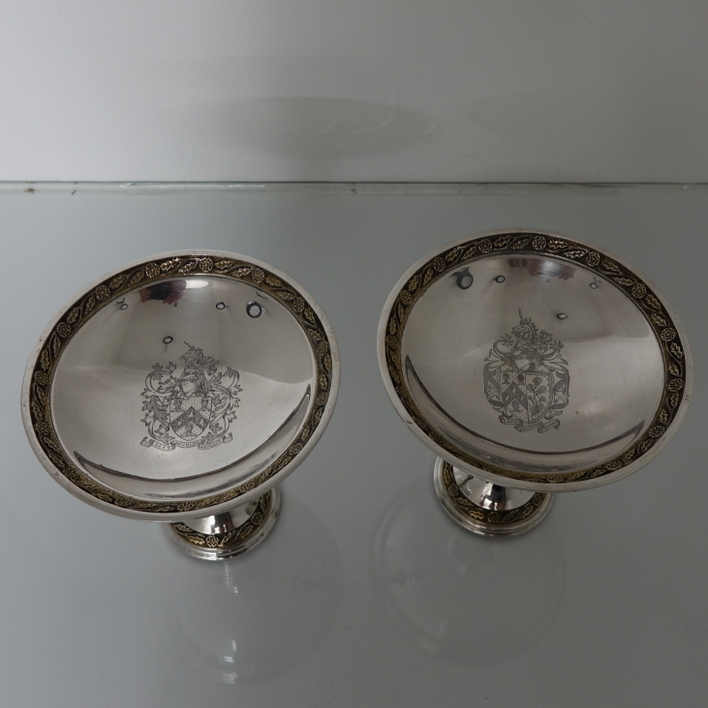 A highly collectable pair of commemorative silver comports/tazzas partial gilt throughout. 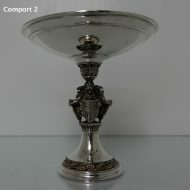 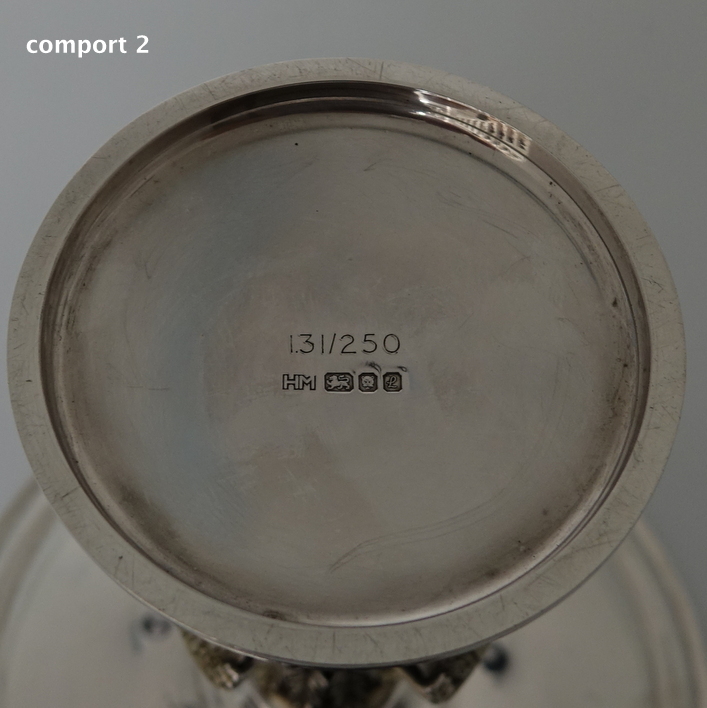 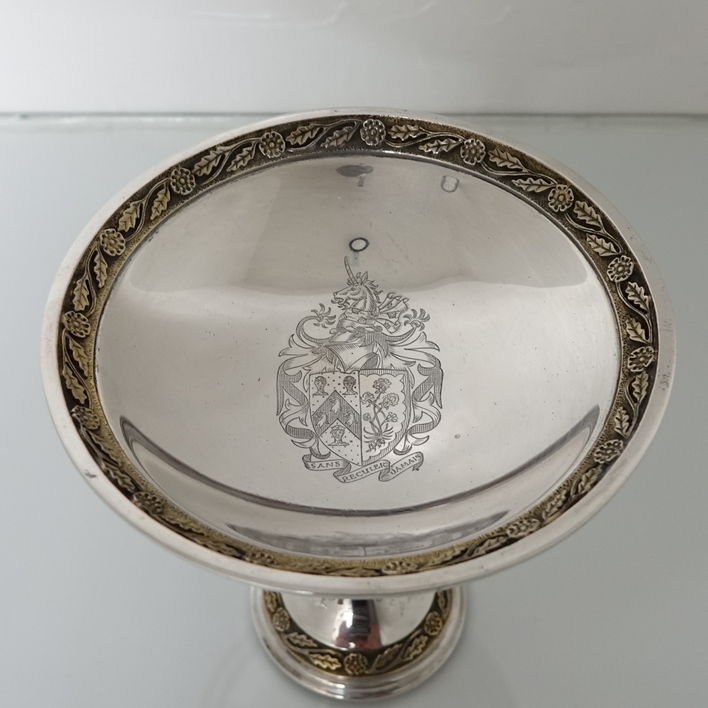 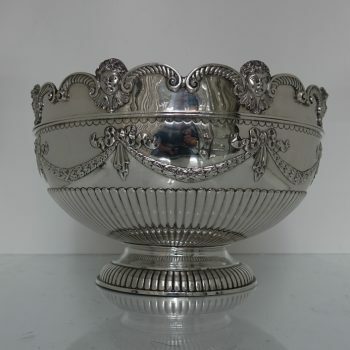 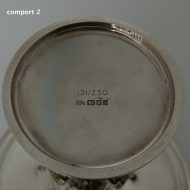 The comports have an elegant coat of arms in the center of the bowl. 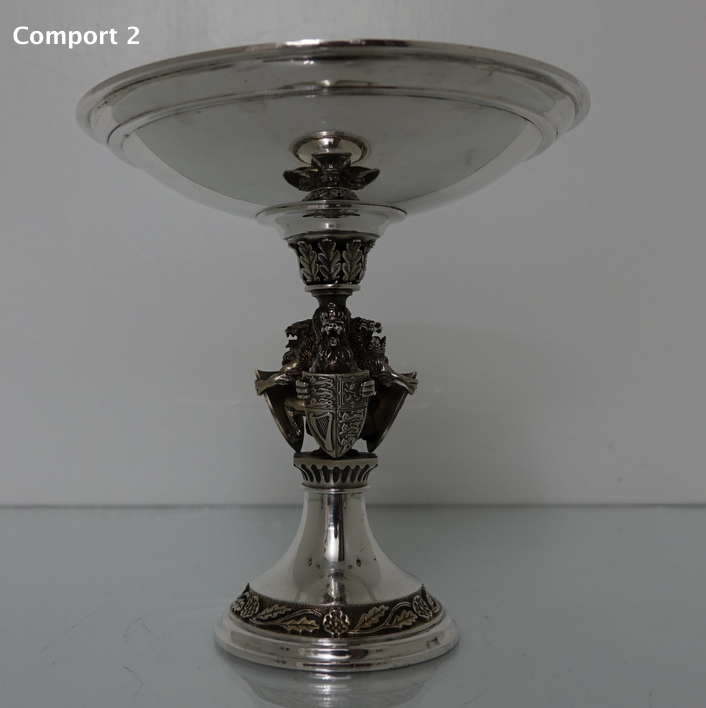 The foot of the comports are highly decorative with cast lions holding shields as the main feature.